"Learning today to lead tomorrow!" *� We provide a holistic curriculum that embraces the totality of the child. * We are supported by the extraordinary social capital of very engaged and committed parents. * We are blessed by even more social capital by the sponsoring faith community of Saint Therese of Lisieux Parish. 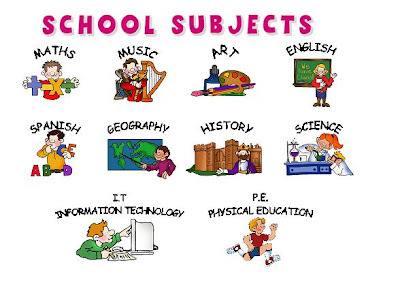 * We offer a structured curriculum with emphasis on core studies in Religion, Mathematics, Science, Social Studies, Language Arts and Reading, Spanish, Computer Science, Physical Education. * We promote appreciation of the visual and performing arts in a structured well defined program. * We expand the classroom experience through exciting, engaging and worthwhile field trips. * We provide two Book Fairs annually believing that books stir the senses, kindle the imagination and inspire a love of reading. * We embrace the talent and expertise in the parish and community to enrich the lives of our students. * Team work and sportsmanship are encouraged in a growing sports program. Tennis and Golf are offered throughout the year. * After school activities include: The Little Flower Times (School Newspaper), The Beta Club, Student Government, Book Club, Art Club, Creative Writing Club, Cooking Club, The Girls Change the World Club, Lego Club and Theatre Club. Pre-School at the Academy is the child�s first experience outside the warmth and security of the home. Creating and maintaining a caring, nurturing environment is our first priority. We make systematic efforts to involve parents as partners. The Pre-K classrooms are alive with activities designed to develop cognitive and language skills, math readiness, music and rhythm. Children learn through play. It is a natural way for them to explore, to become creative, to problem solve and to develop social skills. Our teachers use play to further language and vocabulary development, improve social skills, and introduce scientific and mathematical concepts. The Academy of Saint Therese offers a full day Kindergarten Program. The curriculum accommodates multiple learning styles. The program includes literacy, self expression, mathematical concepts and the whole cast of characters in the world beyond their homes. In these grades, the focus is on developing skills in vocabulary, comprehension, and writing. Students are introduced to diverse literary genres as expressed in their reading. The teaching of mathematics is devoted to mastering mechanics to improve problem solving. Geometry concepts, graphing, and time calculations are utilized. Students learn basic principles of physics through hands on activities. Recognition of communities with similarities and differences from their own are explored and basic democratic values are introduced. Students acquire primary technology skills in our computer lab. They learn to find, enter, and record information as well as to interact with educational games. Art, music and dance further engage the bodies, spirits and hearts of our students. The exuberance, commitment and competitiveness that our young people exhibit at this level is heart warming. Nothing seems impossible to them! Students tackle the personal reading of diverse literary genres, using roots and context clues for decoding words. They become more proficient in grammar, proper spelling, and the mechanics of writing, allowing them to edit, rewrite, and proofread their own and their peers� stories and reports. Our Math program at this level includes the study of fractions and decimals. Students continue to pursue geometric concepts, negative numbers, place value, estimation, and division algorithms, with an intense focus on practical problem solving via more than one strategy. They develop their understanding of area and perimeter and by the end of the 5 th grade can describe, analyze, compare, and classify two-dimensional shapes and understand their use in solving problems involving symmetry. Students learn how to represent and interpret data. In Science, our students observe chemical reactions and learn about electricity, units of measure, and importantly, how to organize data. As they learn the structures of living things, a respect for nature and its Creator, the intelligent designer of evolution, is fostered. Animals, plants, ecology, matter and energy receive sustained attention. The study of space, earth and weather are woven throughout. A hands on approach in the various units is the norm. A healthy respect for their bodies is nurtured among the students, and they learn how the choices they make now will affect their health. Detrimental effects of smoking, alcohol, and poor eating choices are discussed. In these intermediate grades, children learn similarities and differences among cultures and see that, even within the United States, there are notable differences among regions. Lifestyles differ from urban/metro to suburban to rural. Cultural celebrations, values and traditions are part of the program. Awareness of, respect for and responsibility to the poor among us is nurtured in the context of Christian compassion. Climate, environment, natural resources, natural hazards and landforms are all part of the exciting Social Studies Program for these grades. Native Americans, the Explorers and Colonists are all attended to with due diligence. Everything a student needs to know about the State of New Jersey is given full attention, especially, in grade four. The outbreak of the American Revolution in relation to New Jersey and the sequence of events leading to the First Continental Congress and eventually to the Declaration of Independence are all topics in which the children take a particular interest. The Regions of the United States and the exploration, colonization and the native cultures of the Americas are studied in detail especially in grade five. Fairs, with students representing particular historical figures, in full period dress, telling the story in their own words, complete with artifacts and local cuisine, bring life and exuberance to the Social Studies experience. The use of the interactive white boards, mounted in all the classrooms, to integrate technology into daily lessons, is standard procedure. At the Junior High Level, learning becomes increasingly research based. The students� writing expands to journals, narratives and poetry. Peer reviewing and editing are the norm. Grammar and the mechanics of writing are addressed within the context of all written work. Critical thinking skills are developed to interpret both fiction and non-fiction. Independent study and self direction are promoted in preparation for study in high school. We have put in place an annual project for our 8 th Grade entitled The 8 th Grade Living History Symposium. Each member of the graduating class writes a major paper on a person in history who has made a significant contribution to our world and to the common good. With all the rules of grammar and composition in mind, and drawing on the research methods they have been taught, this major work is meant to be an opportunity for the students to display their competence and writing abilities. Working together, the three Junior High teachers grade the written papers. Presenting the material orally is an equally important part of the project. Judges are on hand to select winners. Poise, diction, connection with the audience, creativity and the period costume are all taken into account at this point in the assessment. The awards are conferred on Class Night. Mathematics is increasingly directed to problem solving with an emphasis on multiple strategies for solutions. Decimals, percents, ratios, measurement, probability, pre-algebraic concepts, mental computation and calculator use is incorporated. Students in grades 6-8 have an opportunity to participate in Advanced Mathematics, based on the Terra Nova scores and teacher recommendation. Students are re-evaluated for participation each year. The 8 th Grade Advanced Mathematics Class is taught a High School Algebra 1 course. Please Note: All grades utilize manipulatives, technology, different teaching strategies, and techniques to introduce, demonstrate and apply mathematical concepts. Students conduct experiments in the Science Lab in life sciences and physics, addressing topics such as microscopic life, matter, sound, light, machines, and energy. Written reports require explanations of purpose, method, observations, results and conclusions. Students at the Junior High Level study the make-up, industry, and government of Europe, Latin America, and Canada. American History is studied from the Native American civilizations through the American Revolution to the Civil War and subsequent reconstruction. Students have access to the computers and Library for preparations of reports and class presentations. Significant attention is given to teen issues at the Junior High Level: peer influence, responsibility to avoid smoking, alcohol and dietary extremes. Comfort and confidence in one�s sexuality is nurtured. Specifics of reproduction and behaviors are addressed in the Family Life Program.